If you're in need of a Fort Lauderdale Injury Attorney you can depend on, call the Law Offices of Robert E. Gluck, P.A. Robert Gluck has been a lawyer since 1989 and can provide you with the legal representation you need to handle your case and get you the compensation you deserve. If you've sustained any type of injury as a result of negligence on the part of someone else, he will be able to help you. Negligence is the legal standard one must follow to avoid injury to others. Your Fort Lauderdale Injury Attorney Robert Gluck will be able to prove negligence by launching a full investigation into your claim. He will locate and speak with witnesses, take photos of the accident scene, obtain video footage, and obtain any other evidence he believes is necessary to build a strong case for you. 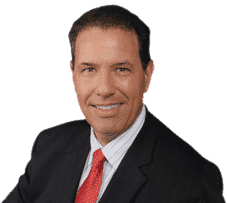 When you hire Robert Gluck as your Fort Lauderdale Injury Attorney, he will work hard to make sure you receive the financial compensation you need to pay for your medical expenses. He knows what a difficult time this is for you and he will work to take the burden off of you and handle every detail of the legal process so you can focus on healing. When you hire a Fort Lauderdale Injury Attorney to represent you, you are more likely to receive a higher compensation than if you decide to handle the legal proceedings on your own, according to many studies. You shouldn't have to go through this ordeal on your own and Robert Gluck from the Law Offices of Robert E. Gluck, P.A. will be there for you every step of the way.